Android Reborn – GPS will be useful to direct you to reach certain place. It will tell you directly how to get your destination. It uses voice so you can keep your concentration while driving. This application will also give you some information about the road and traffic. As voice becomes the main means in this application, make sure that you can get the message of the direction. The interesting voice, for instance Morgan Freeman’s voice, will make you follow the direction much easier. Here are some steps to take on How to Change Voice on Waze Android App. If you have Android or iOS device, install this application first. It is an important start of Changing Voice tips on Waze Android App. If waze is out of date, upgrade it to the latest version. Later, you will follow some steps for iOS and Android. For iOS, you need to tap the Waze icon to get the setting. Soon, the screen will be presented. The gear icon will also be presented too. Tap it on and choose “sound” option. Choose “voice language” and choose “eng-Morgan Freeman”. How to Change Voice on Waze Android App for iOS is finished and Morgan Freeman will guide your trip in English. What about Android? Does it work the same? Follow the tips to change voice on Waze Android App steps for Android. It is simple and easy. Get the setting of this application then choose “Sound”. Then, choose “Voice Language?Morgan Freeman”. Start the navigation and Morgan Freeman will be by your side as he guides you to reach your destination. Besides Morgan Freeman, you can apply these tips on How to Change Voice on Waze Android App to change some notable people like Arnold Schwarzenegger, Mr.T and Darth Vader. 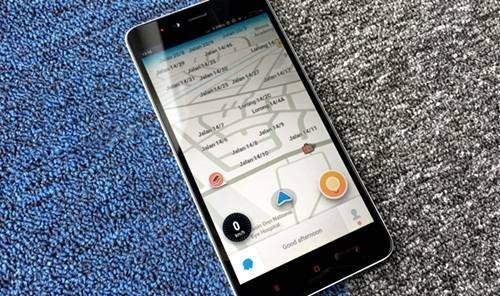 Finally, How to Change Voice on Waze Android App will show you how to make your trip fun and interesting by following the direction of notable people. Waze is an application which is supportive for any kind of mobile device: Android or iOS. Morgan Freeman is one of the famous people whose voice is often used for Waze. There are many other famous public figures’ voice that you can choose too.